Vineland is the birthplace of Welchs grape juice, invented here in 1869. The Wingate by Wyndham Vineland is South Jersey's newest hotel, located in heart of Vineland's business district. 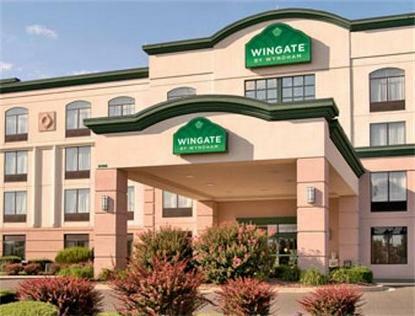 The Wingate by Wyndham is off Exit 32A, minutes away from South Jersey Regional Medical Center, Wheaton Village, General Mills and the city of Millville's Art District. We are also South of Philadelphia and Camden area, and just half an hour from most of Jersey's shore points, Atlantic City, Wildwood and Ocean City. Accessible from both Philadelphia and Atlantic City airports. We offer room service from the Bennigan's Restaurant located next to the hotel.At Wingate by Wyndham, we know you mean business. Our hotel is proud to offer a host of valuable amenities at no extra cost to you. Our all inclusive pricing model gives you access to services and benefits you will not find at other hotel chains, all FREE of charge.